Toronto FC have close to two weeks off now. The time to rest and recover is at hand. The weariness was far too apparent during the San Jose match last weekend. The second half sag saw the Earthquakes take over the game. In the end, the Reds were fortunate to hold on for a tie. They easily could have given up another goal late in the match. Maybe, without all the road games, these guys will even get in some good practice time. Aron Winter has been talking about how hard the schedule has been on the team’s practice regime. My fingers are crossed. I hope a healthier, refreshed and well rehearsed side is what returns from this season’s overdue recess. A few guys are doing their national team duty this week, so let’s hope they play well and return healthy. Ok. It’s too soon. 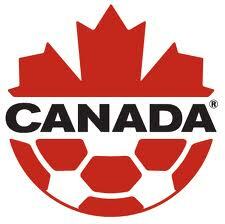 But tonight’s match between Canada and St. Lucia will be exciting all the same. I’m really glad the CSA put the matches at BMO Field. Like most supporters, I’m hoping lots of people join me in filling the seats. It would be really sad if the tiny island nation of St. Lucia brought out a bigger crowd.